Fun! Fun! Fun! And more Fun!!!! 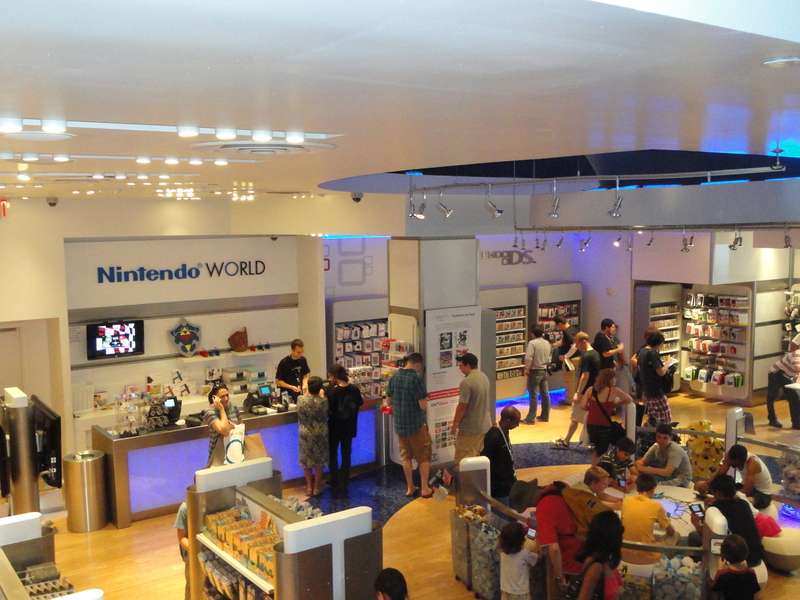 Nintendo World is the go-to store for all your Nintendo needs. Outside of purchasing accessories and games for your DS or WII, the store has lots of stations where you can play games in groups or individually. It’s an awesome place that the kids will love. I even spotted a few adults playing games. You are not obligated to buy any of the products to play the games, but if you are a sucker for your child(ren), you may end up buying more than you bargained for. The store has a lot of cool products besides games and accessories. They sell T-shirts, drinkware, and even home decorating wall stickers, and bedding. My favorite part of the store is the area that shows how much these games have evolved. You can see an original game system that dates back to 1985. Nintendo World is a world of fun for the family. Check it out, but don’t forget your wallet at home. Categories: Family, Miss Metropolitan Junkie, What's Hot in N.Y.C.